W BRC Architects Engineers is pleased to welcome Tyler R. Johnson, AIA to its architectural team in Portland, Maine. 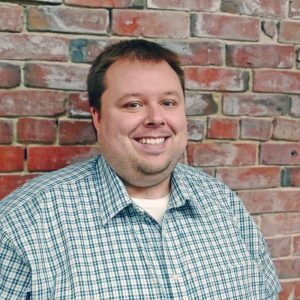 Tyler Johnson is a Maine Licensed Architect (also licensed in Vermont) with over a decade of experience in the technical development, design, and management of educational, healthcare, and commercial projects. He will focus primarily on education and healthcare projects at WBRC. A native Portland, Maine, Tyler earned a Bachelor of Architecture Engineering Technology (BAET) in Architecture from Wentworth Institute of Technology. He a LEED Accredited Professional (BD+C), is a member of AIA-Maine and the Portland Society of Architecture, and is Vice Chairman and Mentor for ACE Mentor Program of Maine. ACE Mentor Program is a national program made up of architects, engineers, and contractors who volunteer to mentor high school students interested in learning more about careers in Architecture, Construction, and Engineering (ACE).